It’s hard picking just one winner out of 323 entries for the Save the Bees giveaway, but the true random number generator did it for me. 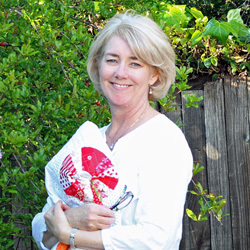 Comment #256 is the lucky winner – Joni G. She said, “I learned to quilt when I was 18-the summer after I graduated high school I spent part of it with my grandmother and she taught me. I joined the Army that fall, got married, had children, lived life , and did a little over those 30+ years. I am retired now and it is a part of what I do now every week….” Congratulations, Joni! 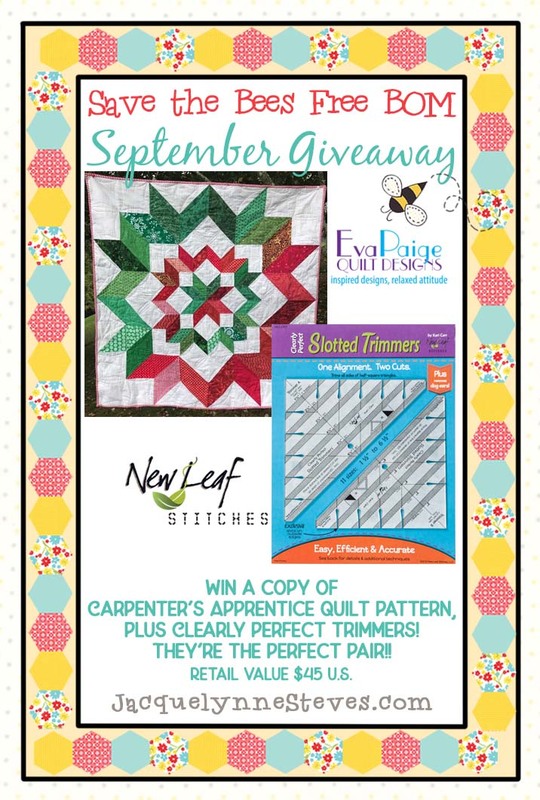 Thank you for following along with this fun block of the month and for participating in the giveaways. I loved reading your comments with the answer to the question, “How long have you been quilting?” There is such a wide range of experience in quilters out there and I’m glad to see there are plenty of newcomers mixed in with the “old timers” (me included). 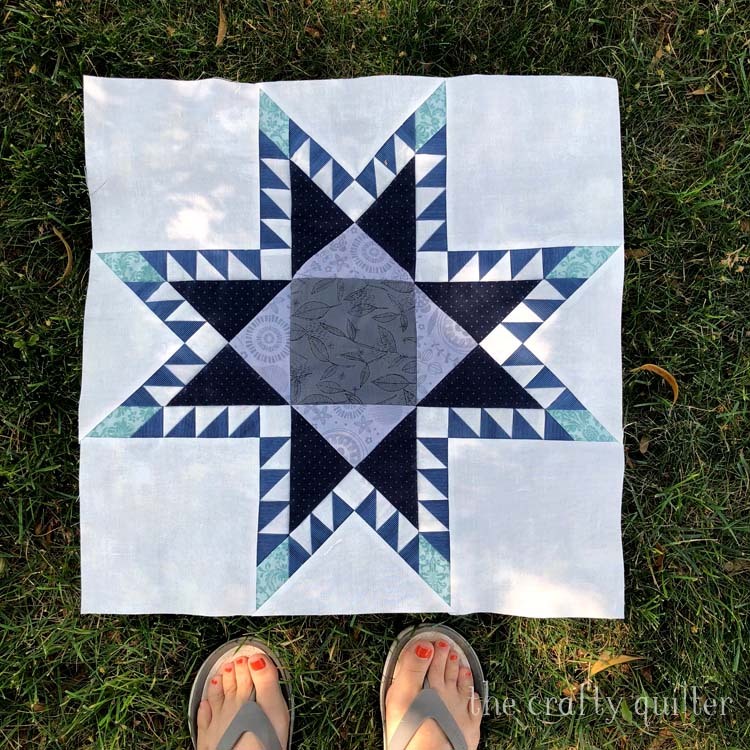 Now I get to share my completed feathered star block with you. Even though I moaned and groaned about the process, I’m really happy with the results! This feathered star is part of the Vintage Sampler block of the month that I’m co-teaching at The Granary Quilt Shop. I had a hard time with the instructions (was it me or was it the instructions?) but I made some changes that gave me a larger block with perfect points and intersections. 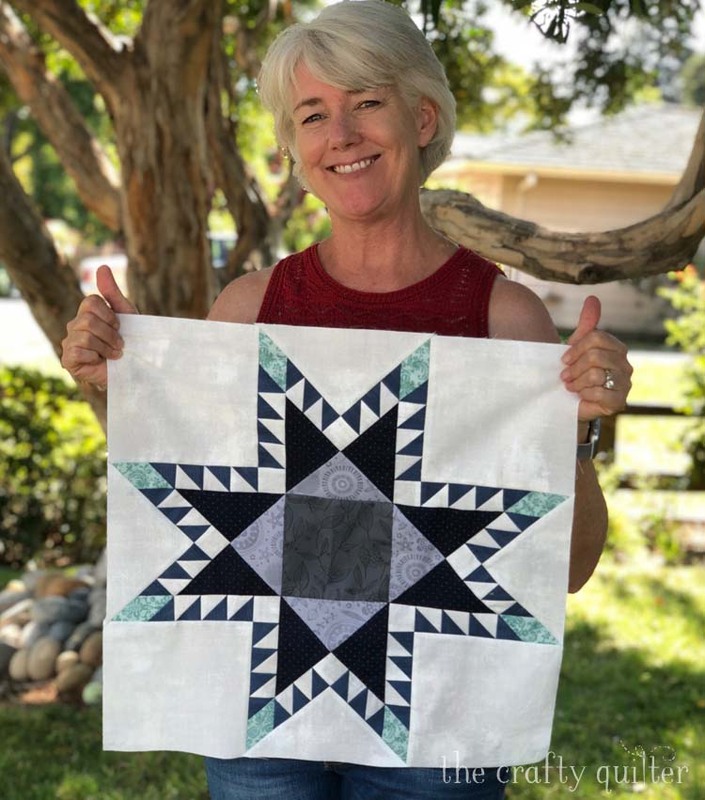 I’m ready to get back up on that horse and tackle another feathered star block, but this time I’m thinking of using Marsha McCloskey’s Feathered Star Quilt blocks with EQ8. 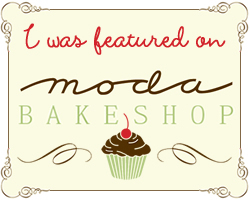 Thanks to one of my blog followers, Becky, for suggesting this! 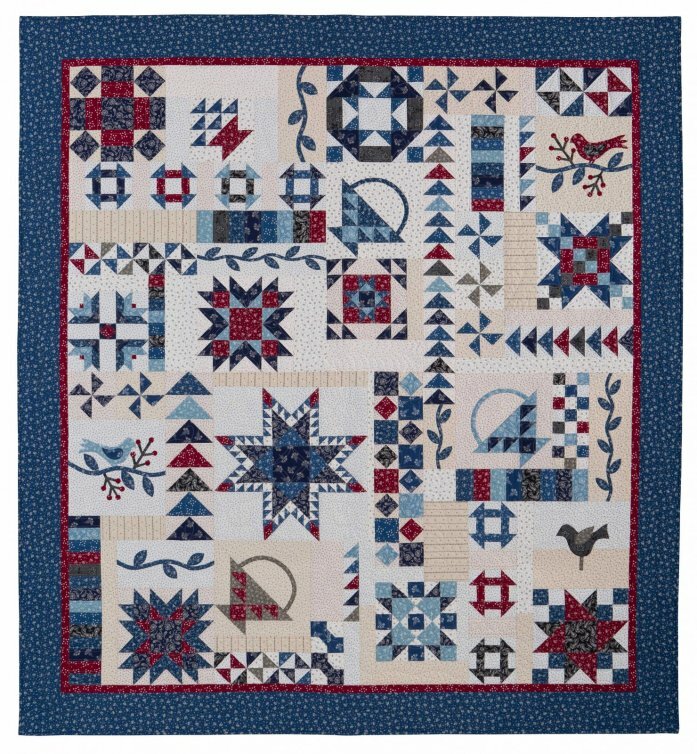 I am also waiting on a pattern developed by another blog follower, Lois, which might be the answer to my perfect feathered star. 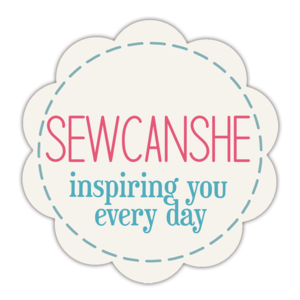 I’m so thankful for this wonderful quilting community and how supportive we are of each other. You guys are awesome! I’ll be sharing another quilt soon – my Summer Fun quilt is finally finished! I’m taking photos today and then I’ll give you the quilting details. For now, I’ll leave you with this cute photo of my constant helper, Cooper. 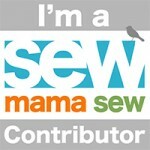 I am self taught with a lot of help from sites and folks like you who share your expertise and experiences. Thank you!! I am mostly self taught. 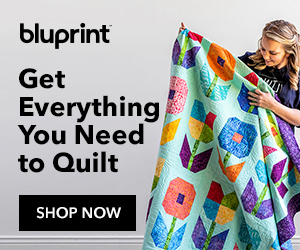 I learned to sew from my Mother but didn’t start quilting till I saw my husband’s grandmother’s quilts and realized I could never afford to buy quilts like those but should be able to make them. I was hooked and am now the quintessential quilter. I can’t stop and love trying new ways to do them. God bless. Mostly self taught. I sewed clothing for my children and myself many years ago (Stretch and Sew classes at that time), but was way too busy when my kids were growing up. When I retired I decided I could do this! 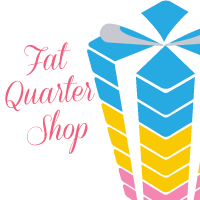 So, I have watched many, many YouTubes and tutorials on quilting and am lucky to have sound a great quilt shop near me that gives lots of free classes. It is a passion now! love the black,white & gray theme for bees block. Beautiful quilts. My mama was my teacher . Mama’s are the best . I got interested in quilting with an at home ladies group making the pointless star pattern. Since then I’ve been taking classes at a quilt shop and the rest is history. i read alot of books and web sites to learn all I could about machine quilting. This was at the end of 2015, I have made around 8 quilts some king size and some queen size. I have lots of table toppers etc. I love to quilt and I have just started following some of the face book groups and doing some of the sew-along BOM like save the bee’s. Not knowing how the quilt will look when it is finished is a little scary, but I am having a great time learning. It came out beautifully! Congratulations to your winner! The block is really neat BUT Cooper is sooooo cute. Nice looking dog and I am sure he is a good dog too. I know it is supposed to be about quilting but I couldn’t resist commenting on Cooper. Wow is all I can say! The block looks beautiful as does your adorable Cooper! Julie, Your completed Feathered Star is simply beautiful; however, the block cannot begin to compare to Cooper, The Springer Spaniel. He is a beauty & I can only imagine what a “good mentor” he is with the accompanying treats. We’ve 3 English Golden Retrievers & they practically live in the quilt studio. Love your work & humble attitude. Thank you ever so much for the shared enthusiasm which inspires us! Beautiful block…well worth the time to make it, and the block of the month quilt is simply amazing. Wish I could take your class! Julie, that is such a gorgeous block! I’m always happy when I visit. Hello Julie, Your Feathered Star Block has turned out so beautifully. I am sorry that you had such problems with the pattern, yet am glad that you found a solution and that other quilters are helping with introducing new patterns. Thank you so much for sharing your experiences with us plus, I think all of your photos are wonderful, especially your helper! Have a great day! 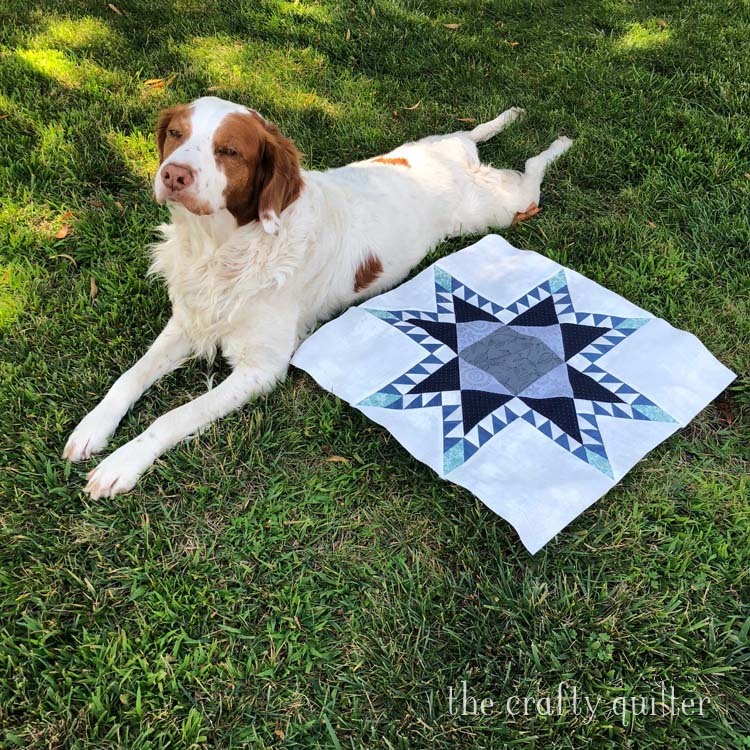 Love your quilt block, but really love Cooper! Cooper looks exhausted after helping with the feathered star block!! LOL!! Julie it was the instructions! I signed up for the same BOM but it was not a taught class. I ended up so frustrated I gave up after just a few blocks. I ended up taking all the fabric and combining it and will eventually use it in another project. I have run across several other quilters who had trouble with the instructions.